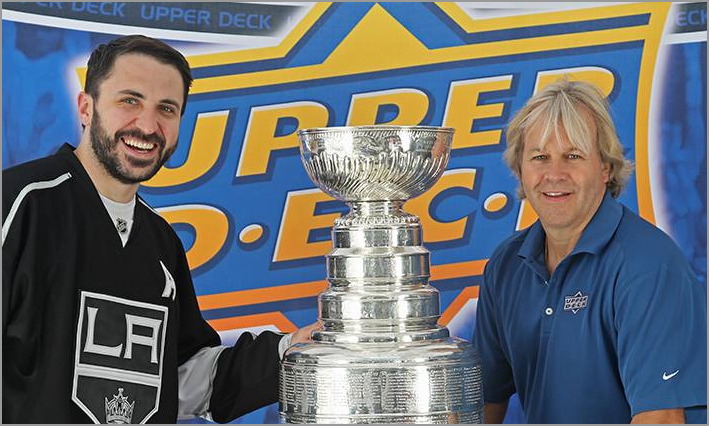 Upper Deck photo editor Austin Castillo, left, poses with Philip Pritchard and the Stanley Cup. Among other duties, Castillo selects photos shown on Upper Deck hockey cards. A few weeks ago, Puck Junk got some internet buzz with our Best of the Worst article about this year’s Upper Deck Series Two. That caught the busy eyes of our cardboard muses at Upper Deck, who enjoyed the light-hearted ribbing we gave them. We asked if we could interview one of their photo editors, because we want to know what goes into the production of hockey cards. 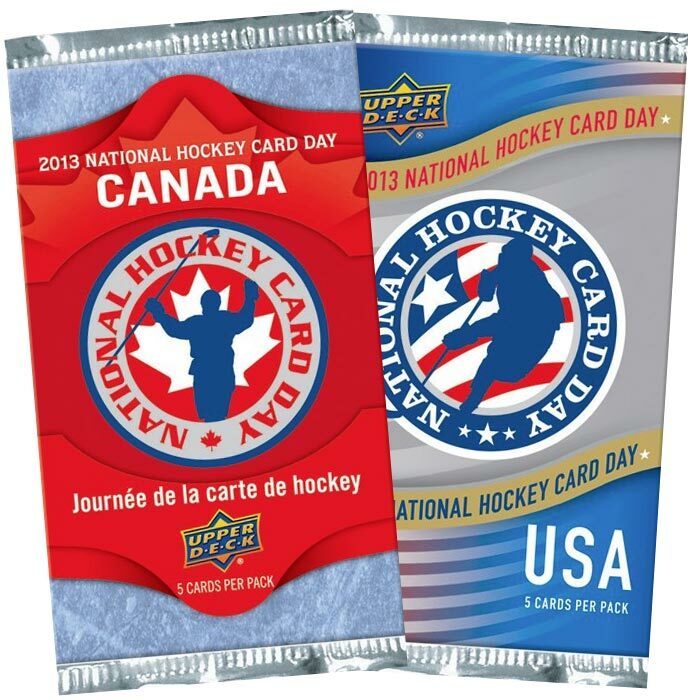 What are some of the challenges that Upper Deck employees face to make cards that they’d be proud of? Fortunately, Upper Deck photo editor Austin Castillo was kind enough to play Twenty(ish) Questions with us via email, and provided some pretty insightful and provocative things about the world of cardboard sports icons. Where do their new product ideas come from? 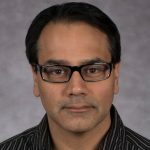 What kind of guidelines do they follow for selecting card photos? Let’s find out! Jim Howard: What is your job and what are your duties with Upper Deck? Austin Castillo: My job title is Photo Editor. I maintain a huge archive of digital and film assets (slides and negatives) and pick the photos that go on cards, as well as some Photoshop work (CMYK conversion, color correction, etc.). JH: How did you find your way into this field? AC: I studied photography in college and then found the job via Indeed. JH: To what extent do you edit the pictures? Obviously color, contrast and brightness are tweaked as needed, but I’ve seen older cards where the ads on the boards were removed or altered. Bill Keenan is not yet a household name for hockey fans, but that might soon change. He played Division 1 college hockey at Harvard, but injuries limited him to just six games. After that, Keenan headed overseas to play minor league hockey in Belgium, Germany and Sweden. He retired in 2012 and soon started writing his autobiography entitled “Odd Man Rush: A Harvard Kid’s Hockey Odyssey from Central Park to Somewhere in Sweden–with Stops Along the Way” (reviewed here). It is a fun, humorous tale of a young man trying to make a comeback in a foreign land. Others have apparently found Keenan’s tale entertaining, too. “Odd Man Rush” is currently ranked 23rd overall in the Hockey Biographies category on Amazon.com. Keenan is back in college, studying business, and is a contributor to Stan Fischler’s newsletter, “The Fischler Report.” I recently spoke with Keenan about writing his book, the highs and lows of his career, playing against a 10-year old Sidney Crosby and why he decided to retire. And if you haven’t read “Odd Man Rush” yet, don’t worry — this interview contains no spoilers. 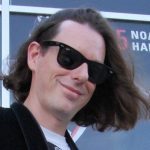 Sal Barry: I thoroughly enjoyed “Odd Man Rush” and did not want it to end. Bill Keenan: That’s probably the biggest compliment I could imagine. I know that feeling, certainly not with my own book, but with some of the books that I like a lot. Chicago Blackhawks prospect Vince Hinostroza became part of an exclusive group when he made his NHL debut earlier this season. Born in the town of Barltett, IL — about a 40 minute drive from Chicago — he became the latest player from the Chicago area to wear the famous Indian-head sweater. Other players in that club include former Blackhawks Chris Chelios, Ed Olczyk and Craig Anderson; current Blackhawks goaltender Scott Darling; and Rockford IceHogs teammate Ryan Hartman. 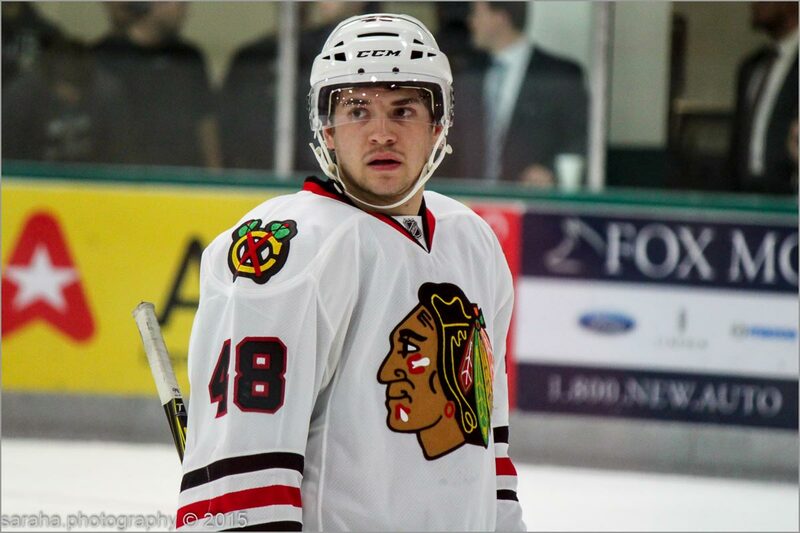 Hinostroza, a forward, was drafted by the Blackhawks in the 6th round (169th overall) in the 2012 NHL Draft. During the 2012-13 season, he played Division 1 NCAA hockey for Notre Dame and was named to Hockey East’s All-Rookie Team. The following year, Hinostroza led the team in scoring and was named to Hockey East’s First All-Star Team. 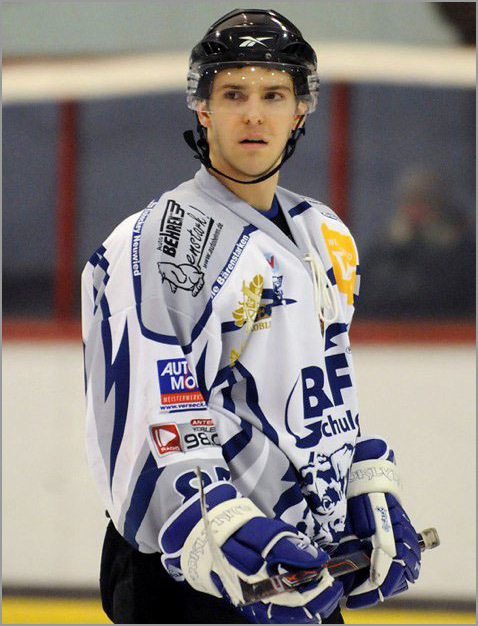 He is currently in his first season of pro hockey with the AHL’s Rockford IceHogs, where he is fifth in scoring. He was also called up for a four-game stint with the Blackhawks. I spoke with Hinostroza about his college days, adapting to new teammates and being on the ice at the United Center instead of looking down at it from the stands. Sal Barry: What was your earliest hockey memory? Vince Hinostroza: When I was three years old, I started skating with my cousin and my dad at Fox Valley Ice Arena. Skating without a stick. And when I was four, I remember joining my first team. SB: At four years old? Do you remember how you did? VH: I remember stepping off of the bench and coming onto the ice for my first shift, ever, actually. VH: Well, I remember my parents telling me about it. SB: Did you grow up watching the Blackhawks? Mark Gessner has scored his dream role. 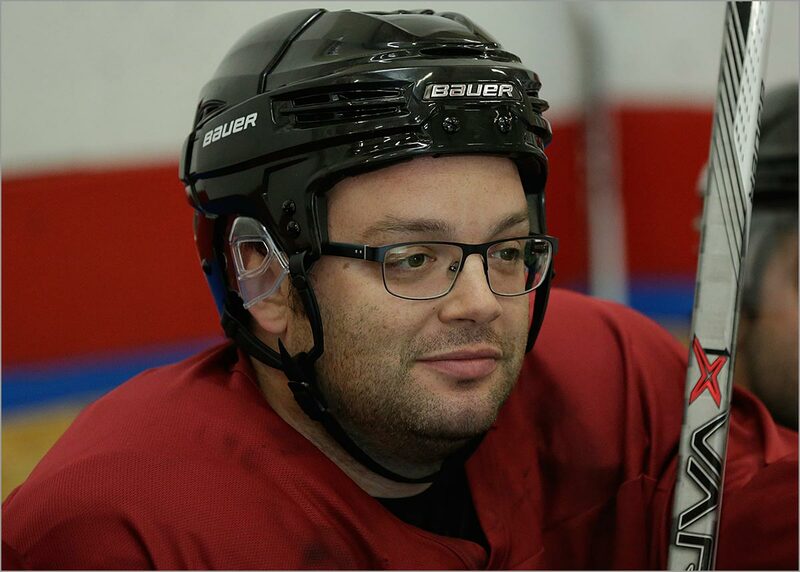 A lifelong hockey fan, the New York-based actor plays Dickie Litski, a hard-drinking hockey player, on the new IFC comedy series “Benders.” Or more specifically, he plays a really bad hockey player on a really bad beer league hockey team. Ironic, considering that Gessner, 35, has played hockey since his childhood. “Benders,” produced by Dennis Leary, follows four friends who are obsessed with two things: playing hockey and getting drunk at the bar afterward. Gessner was both an actor and a hockey player during his high school days. He has appeared on “Orange is the New Black,” “Veep,” “The Blacklist” and “Law and Order: SVU,” among other shows. Gessner recently talked with us about his role on “Benders,” playing high school hockey and the rigors of making rec league hockey look bad. Sal Barry: I’ve really enjoyed “Benders” so far. I play beer league hockey, and the jokes really hit home. Mark Gessner: Nice. I’m glad you’re enjoying it. SB: How would you describe “Benders” to someone who has not yet seen the show? MG: Basically, “Benders” is about four guys who have totally different jobs and are from totally different walks of life — but the one thing they can all agree on is that they love playing for their horrendous men’s league hockey team. It’s where they all intersect and where they all get along, and their friendship extends off the ice, as you often find in real hockey settings. It’s one of those sports where you become tight-knit playing it. My costar, Andrew Schultz (Paul on “Benders”), came up with this analogy: it’s like “Entourage,” but as if they never left Queens, and then crossed that with a show like “The League,” where there’s a shared interest in a sport. Blackhawks fans are a passionate bunch, so it takes something above and beyond your typical jersey or face paint to stand out in this sea of red. But lifelong ‘Hawks fan Michael Rigitano is anything but typical. After the team won the Stanley Cup in 2010, he exceeded the normal boundaries of fandom and descended into something much deeper. On a dare, he built a life-size replica of Lord Stanley’s Cup — using bottle caps. Many, many thousands of bottle caps. Since then, the Bottle Cap Stanley Cup has had a life of its own. Rigitano — a college student who also teaches children and adults how to play hockey — and his trophy were guests at the United Center and have appeared on TV, on the radio and in newspapers around Chicago. His creation helped raise money for breast cancer research at a Chicago Steel (USHL) game. 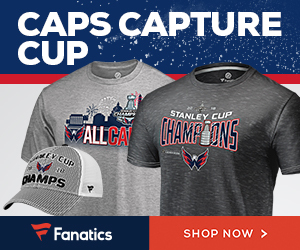 The NHL even arranged for the “Cap Cup,” as he calls it, to be photographed with the real deal. I spoke with Rigitano to learn what drove him to undertake such a monumental task. 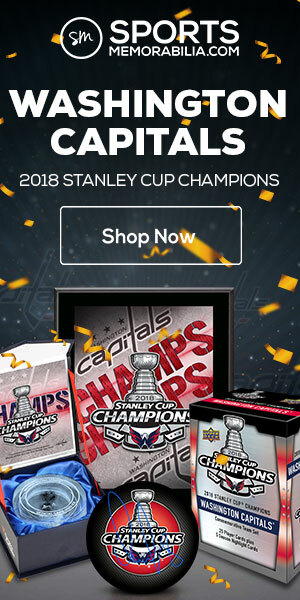 Sal Barry: I’m going to just cut right to it — why did you make a replica of the Stanley Cup out of bottle caps? 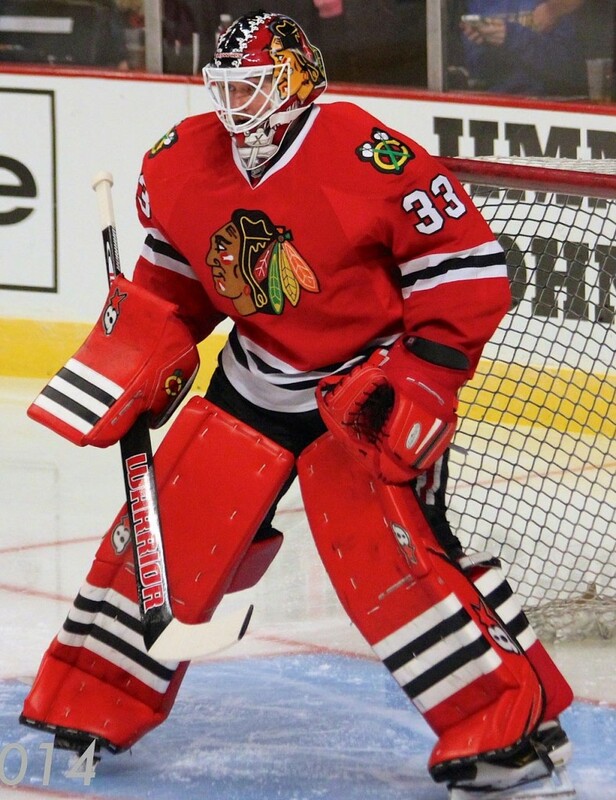 Goaltender Scott Darling has been the surprise story for the Chicago Blackhawks this season. In two call-ups from the AHL this year, he has posted a 5-2 record and a 1.97 goals allowed average. A far cry from 2010, when Darling was near the bottom of the pro hockey landscape. Off-ice troubles led to him to leave the University of Maine after two seasons. And despite being drafted by the Phoenix Coyotes in 2007, he did not make their team. But in 2011, Darling made a conscious choice to turn his life around. He stopped drinking alcohol, lost weight and worked diligently with his goaltending coach, Brian Daccord. Darling quickly moved up the pro hockey ranks, playing a second season in the Southern Professional Hockey League, then progressing to the ECHL and last year to the AHL with the Milwaukee Admirals. The Blackhawks noticed Darling’s play in Milwaukee, and signed him to a two-way contract over the summer. He is currently the number one goalie for the AHL’s Rockford IceHogs. Born in Newport News, Virginia, Darling “moved around a ton until second grade,” living in Washington state and Alabama before his family finally settled in the Chicago suburb of Lemont. He followed the Blackhawks avidly during his youth. Now, he’s played seven games for them, and is likely to play more before the season is through. I recently spoke with Darling about his ascent to the NHL, being teammates with Gustav Nyquist in college, his appearance on “Road to the Winter Classic,” and getting into a goalie fight. Sal Barry: What were your earliest hockey memories? Scott Darling: When I lived just outside of Tacoma, Washington, my dad played goalie. I used to go watch him play in a men’s league. We also went to Tacoma Rockets games. We were season ticket holders. I was probably in…gosh..I don’t even know if I was in kindergarten yet. I used to go to every game. Those were probably my earliest hockey memories, going to the Rockets games and watching my dad play in a men’s league. St. Louis Blues goaltender Jake Allen has assembled quite the resume in his relatively young career. The Fredericton, New Brunswick native helped the Canadian Under-18 Team win the gold medal in 2008, and was named the tournament’s MVP. His showing was impressive enough for the Blues to draft him in the second round of that year’s NHL Entry Draft. Two years later, Allen won the Jacques Plante Memorial Trophy as the top goalie in the QMJHL. He was also named the CHL Goaltender of the Year as the best goalie in major junior hockey. 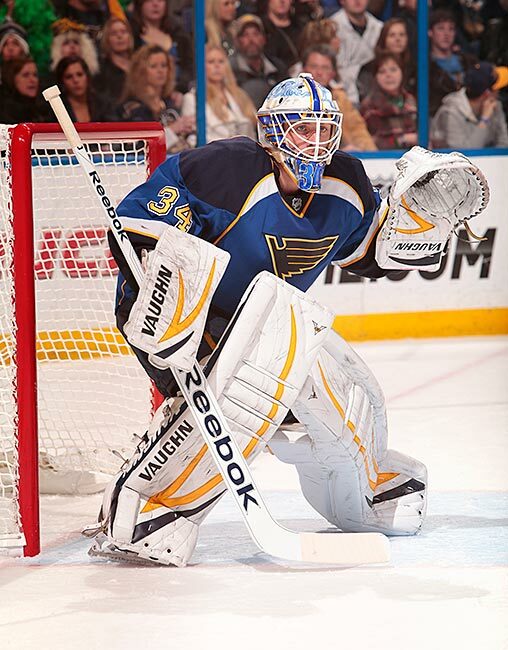 In the 2012-13 season, Allen was called up by the St. Louis Blues, playing in 15 games. His nine wins, one shutout and 2.45 goals-allowed average in the lockout-shortened season netted him a spot on the 2013 NHL All-Rookie Team. The next year, Allen won the Aldege “Baz” Bastien Memorial Award as the American Hockey League’s top goaltender, when he led the league in goals against average (2.03), wins (33), save percentage (0.928%) and shutouts (7). His remarkable play earned him the backup role with the St. Louis Blues this year. I recently spoke with Allen about his blossoming career, the differences between playing in the NHL and AHL and what goes through his mind during a shootout. Sal Barry: What is your earliest memory of playing hockey? The classic-era video game NHL ’94 celebrates its 20th anniversary this season, and remains as popular as ever. Originally released for Super Nintendo, Sega Genesis, Sega CD and PC computers, NHL ’94 is still enjoyed by gamers today. This year’s release by Electronic Arts, NHL ’14, even included an “NHL ’94 Mode” that let’s players experience the run-and-gun style of the old game.